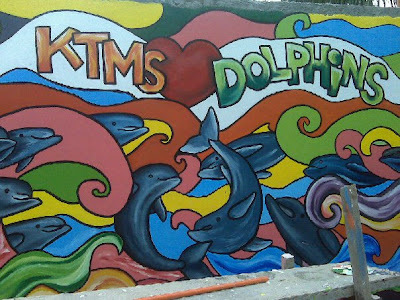 Last May 14 2011, AG Sano, also known as the Dolphin Warrior or the Whaleboy, together with KTMS teachers, learners, parents and other volunteers and environment-lovers gathered together to paint and color dolphins on the walls of the KMTS fence and buildings. The activity was made more festive with the presence of the KTMS family, local artists and musicians and photographers. For photos of the activity, please visit the KTMS Facebook site. 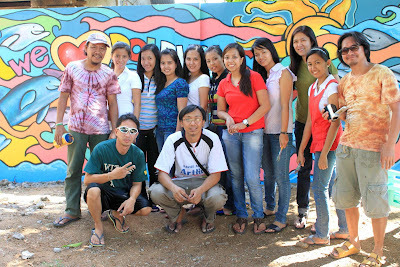 More photos of the murals can also be found in this Facebook folder. 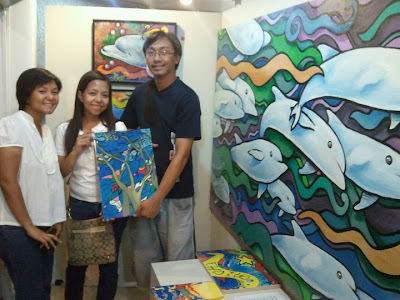 Ms. Divine also visited AG's art exhibit at Indios Bravos Art Gallery in San Juan, Manila. She also purchased a commemorative tile of AG's artwork to be placed at the new elementary building of KTMS.